NO EXTRAS WITHOUT TALKING IT OVER WITH YOUR PARTNER. It’s fine and dandy if both parties are agreed on extras. It just stinks to fill guilty for sending the required items when your partner sent a dozen extra items and you didn’t know they were going to. Please send questionnaires to Wizards_Pupil with ‘Musicals Swap Questionairre’ in the title. Also, remember to include DC# or receipt (for non-us shippers) when PMing me about sending, AND to also send a PM to your partner to let them know that you have sent/received. Do you have pets or other allergens in your home? What kind of crafts would you like to receive? 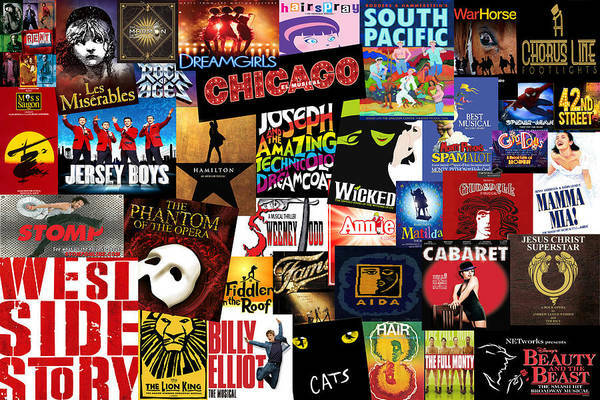 Anything you find offensive about the musical(s) you have listed? Is there a musical you find or think you would find offensive and would prefer not to craft for? Do you agree to check in once a week on the thread and to hold off sending until you’re sure your partner has checked in that week? Please remember to post in this thread before sending your questionnaire in. YAY! SO excited! I just have to wait for a couple of packages to arrive to close out a swap and then I can sign up! Oh man, I hadn't even CONSIDERED tv musical eps. Bring in all the feelings about the Buffy musical ep, and heck, literally all of Glee. Definitely signing up, just need to decide what musicals I want to highlight. Just sent in my questionnaire, doing this swap for my 14 yo, musical loving DD! Welcome to the swap, LadybugsAndBumblebees! This sounds so good to me! I'll be filling out my questionarre tomorrow. I'll have to decide whether to fill it out for myself, or let my daughters do it. They are in the chorus for their school's production of Cinderella next month. We also got tickets to take them to see a traveling production of Wicked in May. Welcome to the swap, jenleahlynn! The Greatest Showman really is good. You can actually buy the digital version on vudu, and have them ship the dvd when it comes out. My daughters choir performed "This is Me" in their winter show.